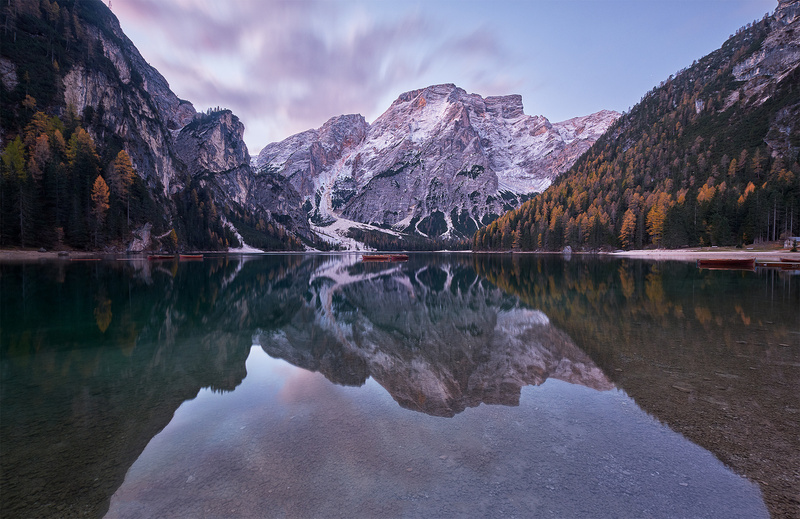 Sunrise on the Lago di Braies in the Dolomites, With the Tre Cime, It's certainly the most visited place in the Dolomites. In autumn the place look so peaceful, it's complicated to achieve a perfect reflection as there is often wind on the surface of the lake. I had a bit of luck as 10 minutes after the shot, the reflection completly disappeared.